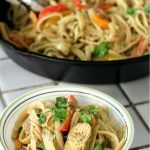 Chicken Fajita Pasta with Cilantro Lime Sauce is an easy 30 minute meal similar to California Pizza Kitchen’s Chicken Tequila Fettuccine. 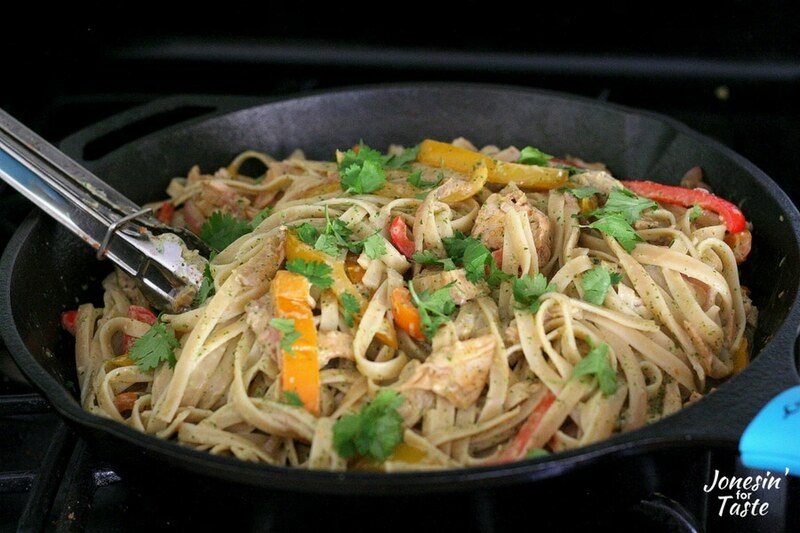 My kids aren’t big chicken fajita fans but they are huge fans of pasta. One day my hubby and I went out for a lunch date while the kids were in school and we went to California Pizza Kitchen. We always share our dishes and he got the Chicken Tequila Fettucine and I loved it! It reminded me of the Sausage and Veggie Spaghetti that my family loves which has flavors the kids enjoy but is also chock full of veggies! I went home thinking about how I could recreate it. I don’t usually cook with any alcohol mainly because we don’t drink it either. So I knew I needed to do a little twist on it. The flavors are very similar to fajitas anyways so I figured why not make a Chicken Fajita Pasta with a creamy lime sauce. Since I’m nursing and was serving this to kids I nixed the idea of a jalapeno lime sauce and instead went for a creamy cilantro lime sauce. 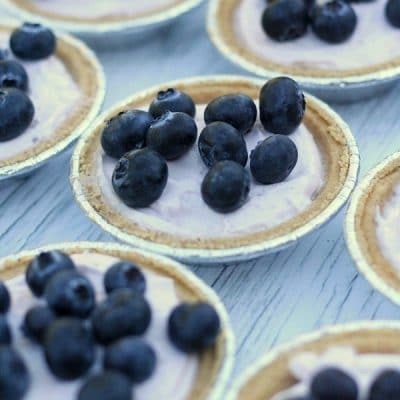 That recipe is from Meggan at Culinary hill and it’s awesome! It was the perfect compliment to the fajitas. I made my sauce in my Blendtec blender which has been totally worth the money! I put up with a crappy blender for way too long. Ugh! I used my favorite fajita seasoning mix since it is way cheaper to make at home and I always have all the spices to make it. I like to make up a big batch and keep it stored in some mason jars in the cupboard. Those mason jars sure are handy! My kids ate the pasta much more willing then they eat fajitas which was awesome. It makes me happy that I can find ways to get them to try veggies! Whenever I make any sort of Mexican inspired dish my family always requests Homemade Horchata and I never mind making it because it really is so good! It’s also another great use for the Blendtec blender! It’s a great companion to this dish and makes us feel like we are eating out even when we are staying in! 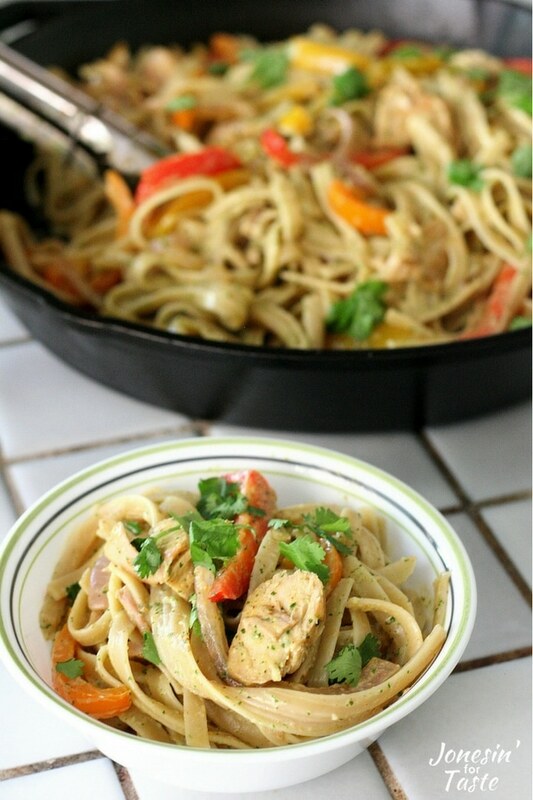 Chicken Fajita Pasta with Cilantro Lime Sauce is an easy 30 minute meal similar to California Pizza Kitchen's Chicken Tequila Fettuccine. Fill a large pot with water and bring to a boil. Add fettuccine pasta and cook according to package directions. Drain. While pasta is cooking, heat a large pan with 1 1/2 Tbsp olive oil to medium high heat. When hot add sliced peppers and onions and saute about 4-5 minutes until they are caramelized. Remove from pan and keep warm. In the same pan, add the remaining olive oil and cook the sliced chicken until it is cooked through and you can see no more pink. Return veggies to the pan and add fajita seasoning and the 1/4 cup of water. Simmer until the water has mostly evaporated. While fajitas are finishing, make the cilantro lime sauce. 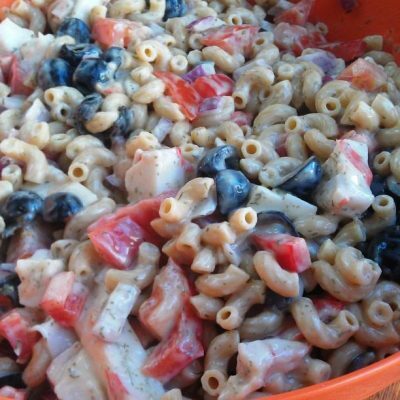 Once both the fajitas and pasta are done combine them in a large serving bowl. Pour over the cilantro lime sauce, toss and serve. Garnish with additional cilantro, if desired. 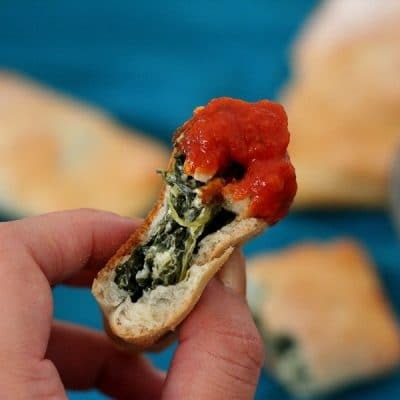 I've made this before with Cilantro Jalapeno Sauce if you really want that spicy kick! You could also use spinach fettuccine with the cilantro Jalapeno sauce for a dish more closely related to the California Pizza Kitchen recipe. The nutrition facts do not take in account the sauce. 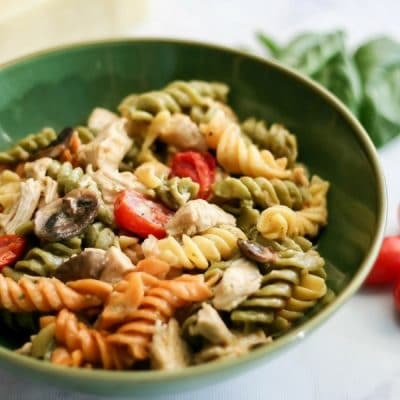 I originally posted this Fajita Pasta recipe on It’s A Keeper but have made a few changes since sharing it there, mainly with what sauce I used.